One of the best things you can learn to do in business to directly drive more sales and revenue is to learn how to upsell. Did you know at McDonalds, they get mystery shoppers to go into the restaurant and order, and if the person behind the register doesn’t do three upsells on three occasions, do you know what happens? They get fired. Why on earth would McDonalds fire people for not promoting their upsells? Because it’s a billion-dollar strategy. Billion dollar. Not million dollar, BILLION dollar strategy! So if you’re an employee of McDonalds and you don’t upsell you will get three warnings, and on the third, you’re out. But what exactly is an upsell? An upsell is when we take it to the next category above, from say, a small value meal, to a mid-size value meal, to a large value meal. That’s an upsell. What about a cross sell? A cross sell is also known as add on selling. For example a company that I worked for that sold fitness equipment also started selling running shoes and socks. So, if we were selling a treadmill, the upsell would be selling the more expensive treadmill. Then the cross sell would be shoes and socks. Then if they buckle we would invoke the down sell. 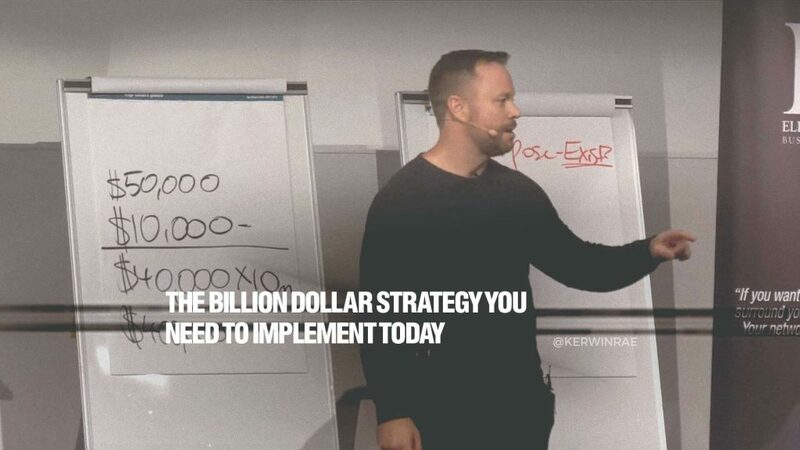 Because smart sales people will always down sell and say, “Okay, instead of starting with this package here, why don’t we do the lower version – just the bare bones and see if you’ve got the commitment and the discipline, and then it’s about $1000 cheaper”. Down-selling is a very viable option to saving the sale and it’s one that most people don’t do. And as a result, they miss out on the revenue all together. Most customers that are going to say no and are offered a down sell, are 33% likely to say yes. It’s so important that you’ve got somewhere else that you can go. But right now, we’re concentrating on the upsell. Answer me honestly. How much revenue do you think you’ve potentially lost because you don’t have an upsell strategy? You need to be asking yourself, what could I be upselling that I’m currently not? And it doesn’t matter what industry you’re in, there’s always something to add on. So, I want you to write down now, what are the three things that you could be offering at every point of sale? Do it now. Because I don’t know about you but when I’m eating a burger, fries add to the experience, a drink adds to the experience, it doesn’t take away. So, what can you do? What can you offer? Where can you add value?